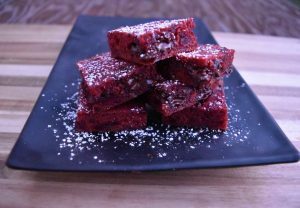 Savor some chocolatey decadence with your loved ones this Valentine’s Day with You Make My Heart Beet Brownies. The richness from the chocolate masks the earthiness of the beets. You will hardly even realize they’re there. Beets contain a phytonutrient called betalain, which have anti-inflammatory properties that are good for the heart. The intense dark red color turns these into a lovable treat that resembles red velvet. Roasting the beet will bring out its natural sweetness, so I ended up using less sugar here than in a traditional brownie recipe. Share some love this Valentine’s Day with these delicious beet brownies. Savor some chocolatey decadence with your loved ones this Valentine's Day with You Make My Heart Beet Brownies. The richness from the chocolate masks the earthiness of the beets. You will hardly even realize they're there. 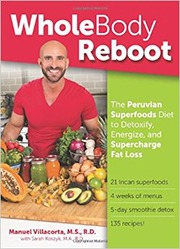 Beets contain a phytonutrient called betalain, which have anti-inflammatory properties that are good for the heart. The intense dark red color turns these into a lovable treat that resembles red velvet. Roasting the beet will bring out its natural sweetness, so I ended up using less sugar here than in a traditional brownie recipe. 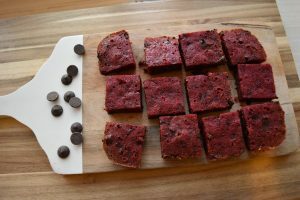 Share some love this Valentine's Day with these delicious beet brownies. Preheat oven to 350 degrees. Toss chopped beets with olive oil and roast until fork tender, about 45 minutes. Let cool for about 15 minutes. Transfer to a blender. 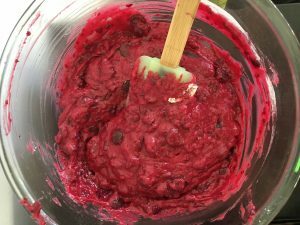 Blend until beets are a ground consistency. Spray an 8 by 8” brownie pan with non-stick spray. In a large mixing bowl, stir together butter and brown sugar. 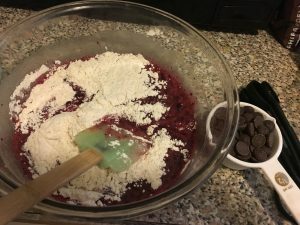 Add ground beets, vanilla extract, eggs, flour, and cocoa powder. Incorporate ingredients together with an electric mixer or spatula. Fold in chocolate chips. Transfer to brownie pan and cook for about 20 minutes, or until a toothpick comes out clean. Cool completely before cutting into squares. Not bad at all. We’ll enjoy them.